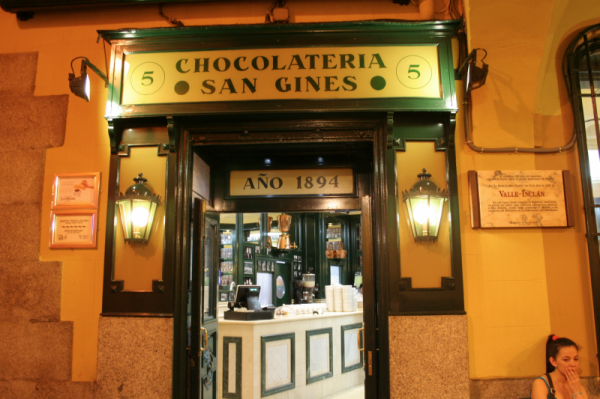 While San Gines serves coffee and a variety of cakes, you’re really here only for the chocolate con churros. We went two nights in a row, they were so good. The line moves fairly quickly – if you’re watching the churros being made fresh to order and the dark chocolate being brewed before your eyes, time passes doubly as fast. Once you order up and pay, you get a ticket which you hand to a server after you pick a spot and sit down. Try to get a table outside if you can – it’s such a treat to sit out there on a summer night and people watch or star-gaze. The churros is light and crispy. Hot to the touch, but not unbearably so. The chocolate is thick, gooey and neither too sweet nor bitter making the entire mug excessively dippable or drinkable, whatever you prefer. 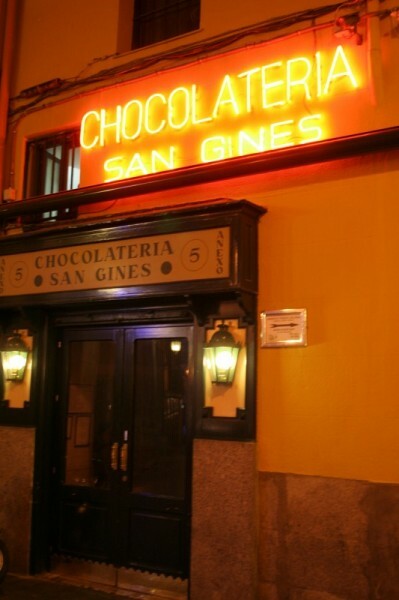 If you’re in Madrid, San Gines is a must. While it may be a bit hard to find, make the effort because it’s worth it. Imagine how good it tastes sober. Then imagine how much exponentially better it would taste after a night out drinking and dancing. I think you know what to do. 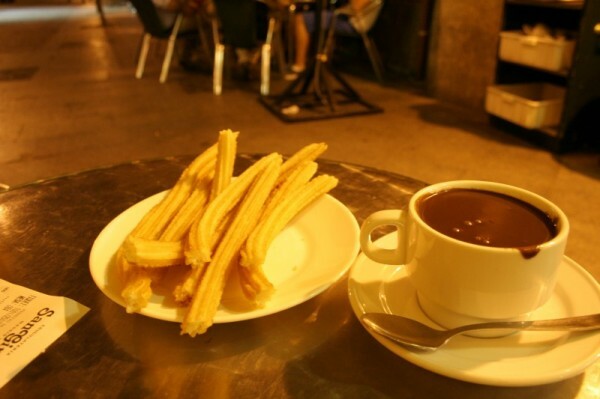 Tags: Chocolate, Churros, Dessert, Fried, Late Night Snack, Madrid, Spain.